Tri-County Ambulance District is an Advanced Life Support ambulance service, utilizing the skills and training of experienced Paramedics and Emergency Medical Technicians to provide emergency medical care to the ill and injured. In the predominantly rural area which Tri-County's district boundaries encompass - with even the nearest hospital being as much as 20 miles away - we believe it is critical to have highly-trained, seasoned Emergency Medical Services providers who are dedicated to providing the highest level of care to each of our patients. Since January 1, 1974, Tri-County Ambulance District has been providing advanced life support Emergency Medical Services to a large portion of Clinton County, as well as parts of Buchanan and Platte counties in Northwest Missouri. The district initially hired six ambulance attendants to cover the 625-square mile district. The population has grown from approximately 10,000 in 1974, to an estimated 25,000 as of the 2010 Census. 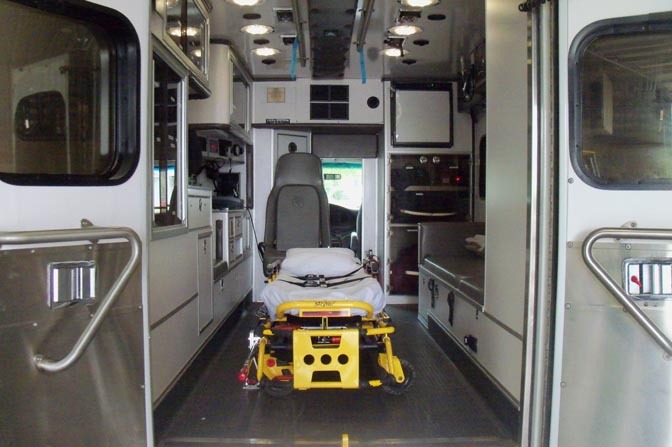 Tri-County now employs more than 20 paramedics and emergency medical technicians. Many changes have taken place since the district's inception. Equipment and ambulances have improved. Training has evolved. There are more hospitals with higher levels of emergency care departments. Methods of treatment have become more aggressive and scientific. One thing that has not changed is Tri-County Ambulance District's commitment to providing the highest level of care and compassion for each of its patients. 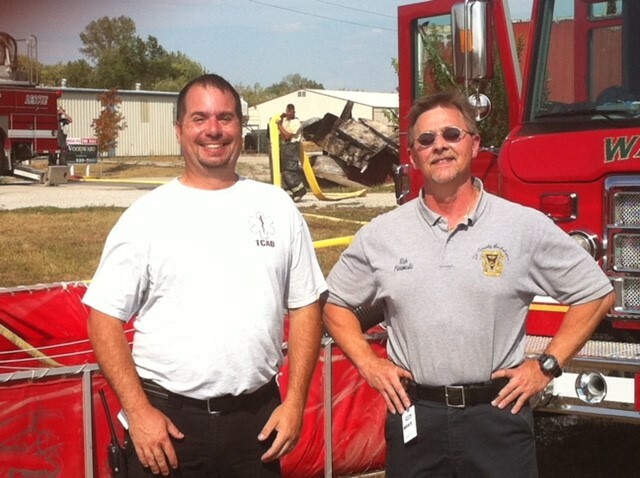 Emergency Medical Technician Mike Sheek and Paramedic Rick Alley, shown here, have more than 40 combined years of experience in Emergency Medical Services. They are representative of the caliber of medical personnel who make up Tri-County's crews. Couple the training and experience of our crews with our state-of-the-art ambulances and equipment, and you can rest assured you or your loved one will receive the highest level of emergency medical care should you ever require our services.